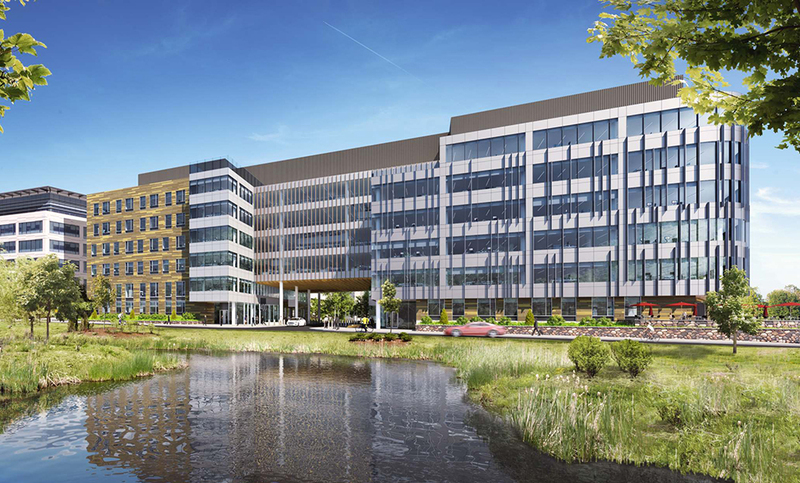 Cambridge, MA According to Citizens Bank, the Citizens Commercial Real Estate Finance team is leading a $150 million construction loan for Bulfinch, to build a new 270,000 s/f lab building and 383 space standalone garage at Cambridge Discovery Park (CDP) known as Building 400-500. Citizens is the sole lead arranger and administrative agent. A longtime Citizens client, Bulfinch is an entrepreneurial, value-add real estate investment firm specializing in the development, acquisition, management and repositioning of commercial properties in Greater Boston. Since inception in 1936, Bulfinch and its affiliates, have developed, acquired and repositioned more than $1 billion of commercial real estate. Building 400-500 is a class A, six-story, LEED registered life sciences building. The property will offer large floor plates with 100% laboratory compatible space and feature two separate bases with two distinct lobbies, connected on the third floor and above. Building amenities include a fitness center, full-service cafeteria, outdoor patio, roof deck and bicycle storage area. CDP is a 27-acre master-planned redevelopment located in West Cambridge’s biotech mini cluster and 1,600 feet from the MBTA’s Alewife Station and near Fresh Pond shopping area that includes: Whole Foods, Chipotle, Starbucks, Bon Me, CVS, Trader Joe’s, Dunkin Donuts, among others. Building 400-500 is the last phase of Bulfinch’s master-planned redevelopment totaling 800,000 s/f of lab, office and amenities. Existing CDP occupants include: Forrester Research’s World Headquarters, The Smithsonian Astrophysical Institution, FogPharma, LifeMine Therapeutics, and Genocea Biosciences, Inc., as well as a brand new 150 room AC Marriot Hotel. Bulfinch’s speculative development aims to fill the demand for city lab space. To date, 11 of the largest 15 biotechnology companies have a presence in the city where vacancy rates are extremely tight due to strong demand for research and development space and limited supply. “At Citizens, we try to think about the needs of our clients from their point of view and offer the best solutions,” said Gary Magnuson, head of commercial real estate finance at Citizens Bank.